“We sought to determine whether reading a novel causes measurable changes in resting-state connectivity of the brain and how long these changes persist. On the days after the reading, significant increases in connectivity were centered on hubs in the left angular/supramarginal gyri and right posterior temporal gyri…These hubs corresponded to regions previously associated with perspective taking and story comprehension, and the changes exhibited a timecourse that decayed rapidly after the completion of the novel. Long-term changes in connectivity, which persisted for several days after the reading, were observed in bilateral somatosensory cortex, suggesting a potential mechanism for “embodied semantics,” says the study abstract. For more on the benefits of books and reading, check out these 5 studies showing how reading is healthy. 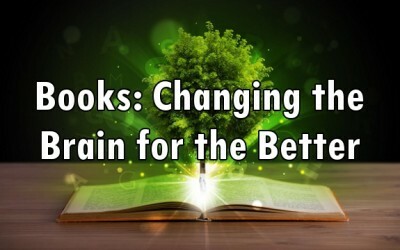 …positive change greatly depends on what you are reading, example: Communist Manifesto, and Mein Kampf, would not be a positive change in the brain. Do you have any evidence to back that up? This study has not made that distinction, nor has any other study. Great post! One thing when people are depressed they may have concentration problems and have a hard time reading. Otherwise I agree one thousand percent! Thank You!